Capt. 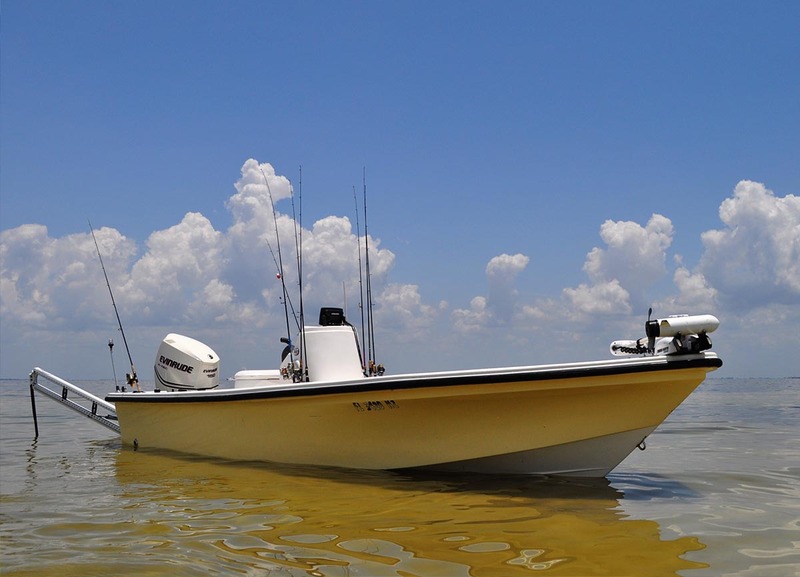 Jason Runs his Charters from a brand new Bonefish Boatworks 22′ Bay Boat. It is fully loaded with Two 10′ Blade Power-Poles, Brand new Evinrude Etec 200 HP engine, Lowrance Electronics, Minn Kota wireless trolling motor, oversized livewell (for more bait and fish holding capacity), Igloo 50 Qt offshore series marine cooler, Lenco Trim Tabs, and more. THE CAPTAIN HAD THIS BOAT BUILT SPECIFICALLY WITH CLIENT NEEDS IN MIND!